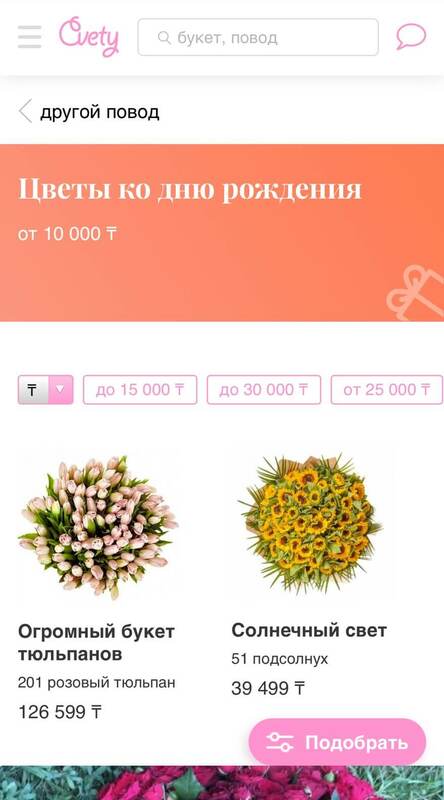 Mobile website for flowers delivery service in Kazakhstan. cvety.kz has nearly 7.000 visits a day from smartphones (according to Yandex.Metrika in February 2017). 65% of them from iOS. So firstly it was important to upgrade the most efficient traffic source for the service. That's the question I asked my client. Sounds simple, yes. But to bring great result of redesign (and without damaging) I had to understand all the ins and outs of the ordering lifecycle. 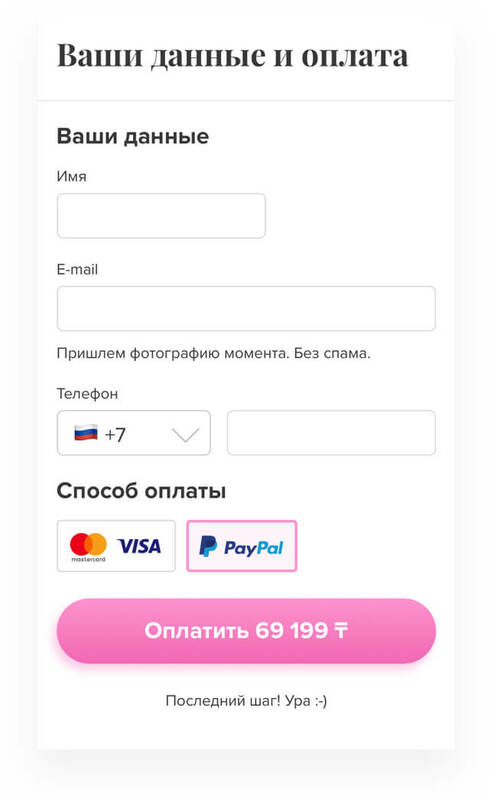 New unevident details appeared: when company had to pay for the order transferred to the partners without knowing for sure, if the will client accept the order. Because who knows, right? Wrong flowers or delivery got late. Decision was easy: only pre-payments right on the website. These blocks on the right are themes of flowers catalogue. «Valentine’s Day», «Birthday», «Anniversary» or «Wedding». It’s a highlights section, typical marketing tool. Changes due to relevance. Have you ever ordered flowers on the internet? How big do you expect your bouquet to be? So to decrease false measurements expactations I decided to add percentage on the bouquet page. How big will it be? Like on the photo, 30 or 60% bigger? You decide. Confirming bouqet, filling the letter to a loved one. Choosing dates and filling recipient info. 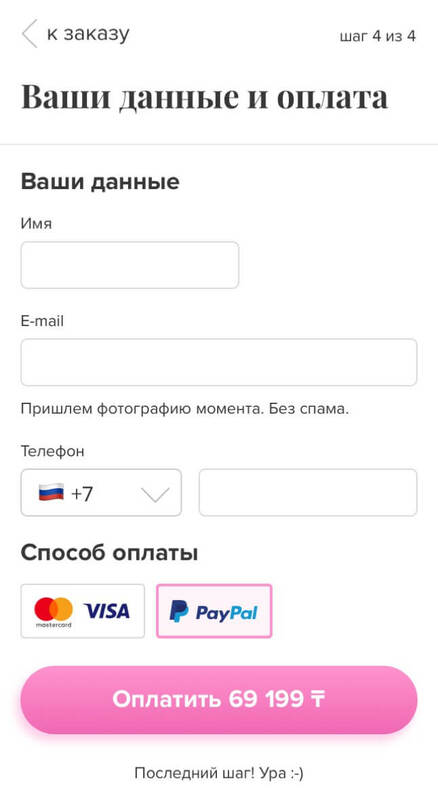 Just in case, now your data and payment info.